Critics say the president responded ineffectively to Hurricane Maria last year and the death toll would have been far lower had his administration reacted quicker. With Hurricane Florence churning toward the Carolinas on Tuesday, President Trump hailed his administration’s response to last year’s storm in Puerto Rico, where researchers have estimated there were nearly 3,000 deaths. In remarks in the Oval Office, Trump said his administration’s response to Hurricane Maria was “an incredible, unsung success” and also incorrectly suggested that Puerto Rico had virtually no electricity before the storm. Trump has repeatedly asserted that his administration did a “fantastic job” in response to the disaster. Yet he has come under fire from critics who say that the response was ineffective and the death toll would have been far lower had his administration reacted more quickly. His remarks prompted a sharp retort from independent Sen. Bernie Sanders of Vermont. “We’re ready. FEMA is ready. Everybody is ready,” Trump said, referring to the Federal Emergency Management Agency. Trump made his brief comments at Joint Base Andrews as he returned to the Washington, D.C., area after a trip to Pennsylvania, where he participated in a memorial service for those who perished on Flight 93 in the terrorist attacks of Sept. 11, 2001. Trump was responding to a reporter’s question. 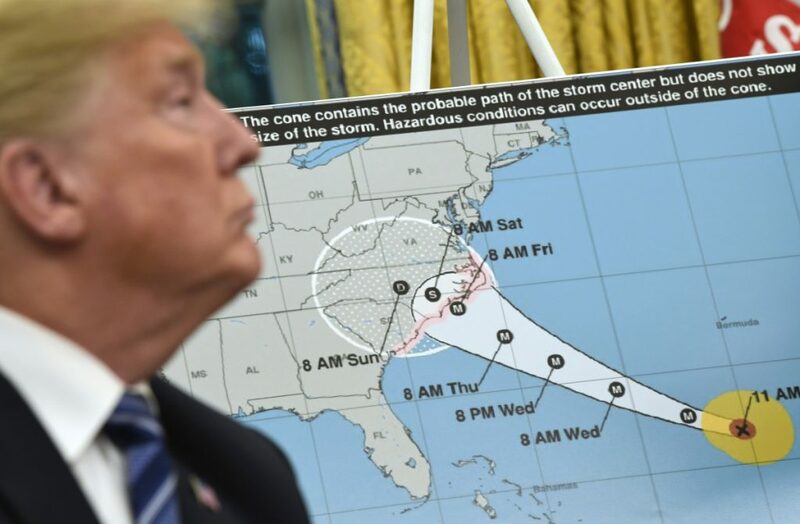 Until that point, the president had said relatively little about the hurricane, even as it started to dominate news coverage.